Drinking, as everyone should know, is very important while running longer distances, especially in warm weather. Quite when one starts to take water on a run and how one carries it is down to personal preference. 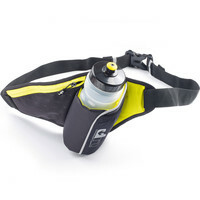 Here are some suggestions on how to carry drinks while running. 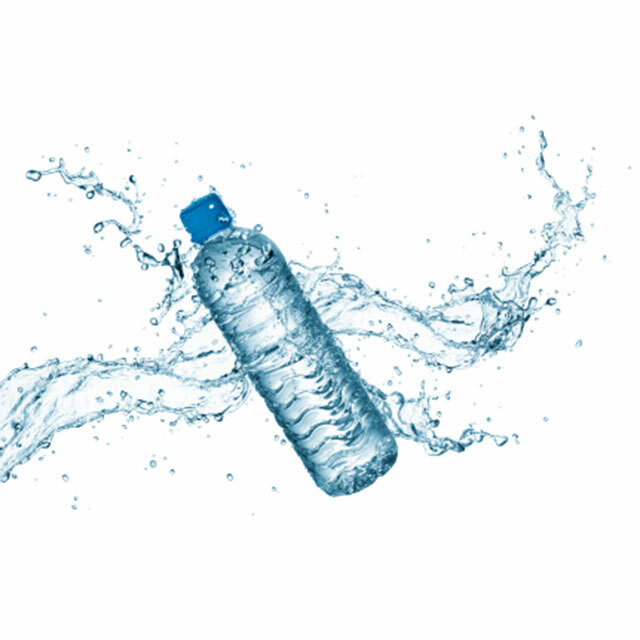 One of the simplest ways is to carry a water bottle, there are bottles specifically designed for this, for example the Ronhill Wrist Bottle comes in two sizes: 270ml or 500ml. 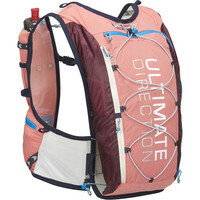 There's also the Ultimate Direction Fastdraw, which is also a handheld bottle but with a mesh pocket attatched for a key and/or a couple of gels. 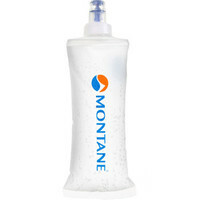 Soft bottles have been on the market for a wee while now and have become extremely popular. They are such a brilliant addition to the running scene for a number of reasons. The bottle gradually gets smaller as you drink the water and also the water doesn't slosh around as it is in a vacuum. 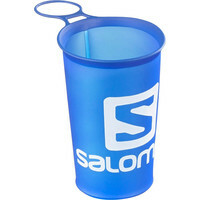 Some trail races and ultra races ask you to bring a cup and Salomon make a soft speed cup which you can use and then squish it away in your pack or pocket. 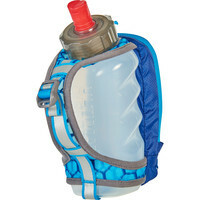 The other option if you have a waistpack or rucksack which works well is just to get one or two of the soft bottles. Once you've drunk the water they hardly take up any space at all. 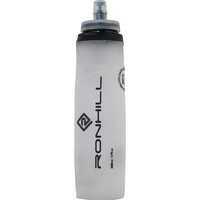 Some of the Ronhill trail clothing comes with a pocket that the Ronhill Trail Fuel soft bottle fits into. 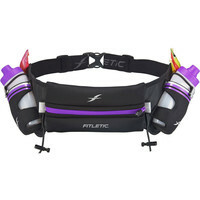 If you don't like having something in your hand while you are running, there are bottle belts which fit around your waist or backpacks which carry water in a bladder. There are many different types of bottle belts – the most basic one has a 500ml bottle and a small gel pocket, such as the U.P. Ribble Bottle Belt, or the Ultimate Direction Access 350. If you are hill running or need more 'stash space' for waterproofs etc. 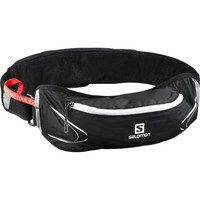 Another option would be the Salomon Agile 250 Belt Set or 500 Belt Set. This bottle belt comes in 2 different sizes: either with a 250 ml soft bottle and a small stash pouch, or the belt with a 500ml soft bottle has a second zip pocket. It just depends how much you want to drink and how much you need to carry. 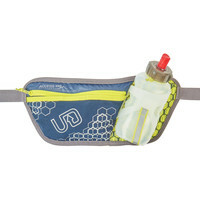 There are also some waistpacks that come with 2 bottles, for example, the Fitletic Hydration belt. 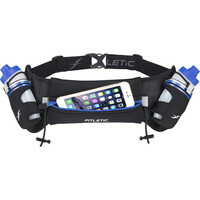 This belt comes with two 227ml bottles, 2 gel loops, toggles for a race number and space for a phone. It also has an inner zip pocket for keys of a credit card. I always find this quite useful – the bottles balance nicely and you could fill one with something other than water. If you don't like having something around your waist or in your hand, or if you need more than 1.5L of water, then a backpack with a bladder could be the solution. If you already have a good running backpack, often it will have a special compartment for a bladder – this will protect your bladder from any sharp objects you might be carrying. 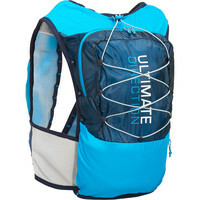 All the backpacks that we stock have bladder compartments but you need to purchase the bladder separately. 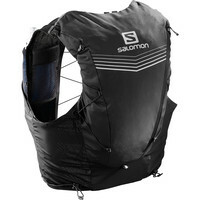 Another option is a backpack which is a real cross between a pack and a race vest, like for example the Salomon Agile 12 and 6 set. These come with 2 x 500ml bottles on the front. One way of drinking on the run, which has dramatically increased in popularity over the past few years, is to use a so-called running vest. There are a number of options around, but they are all incredibly lightweight and comfy. Basically even when full with 2x500ml bottles and a light jacket and trousers, one hardly knows it is on. One of the main differences in this water carrier is that the water bottles are on the front. This means easy access, and could also help one to have that slight forward lean which is sometimes recommended. 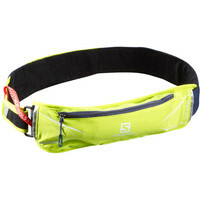 Many of the vests that we have come with small stash pockets on the front for gels, phone etc. 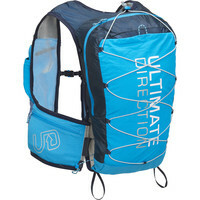 and a larger compartment in the back, which could fit a 2L bladder and/or a lightweight jacket and trousers. Race vests have now really become an essential piece of kit for anyone doing longer training runs and races that have a kit list, because of this we now stock race vests from 3 different companies. 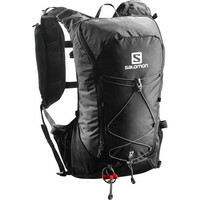 Ultimate Direction, Salomon and Montane all make brilliant vests and it really comes down to how much additional stuff – jacket, waterproof trousers etc. – you need to carry and then which one fits and feels best. They all come in different sizes to help get that perfect fit. Ideally you would want to try them on as they do all fit differently. 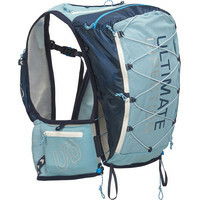 We stock the UD and Salomon vest in the larger 12L size if you do need to carry extra things (bivi bag, first aid kit etc.) to fulfill race checklist requirements. 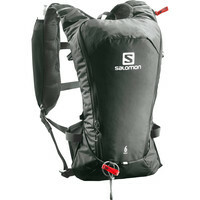 Our Montane vest has 10L storage. 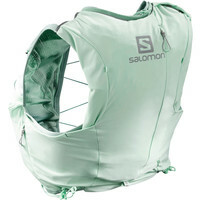 This excludes the pockets on the front of the vest, so it probably gives about the same storage as the Salomon and UD vests where all storage front and back is included. 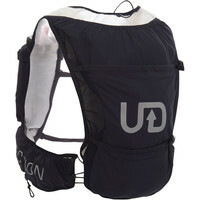 The smaller UD Ultra Vest has 10L storage and the smaller Salomon Advanced Skin has 5L. UD make women's specific vests. The Adventure Vesta has just over 12L storage capacity comes with 1 x 500ml bottle and space for a bladder. This is because they are assuming as you need more storage space you will be needing more water than a litre. 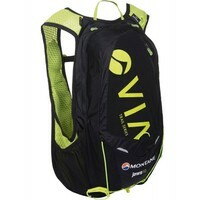 The Ultra Vesta has 10L storage space and 2 x 500ml soft bottles. 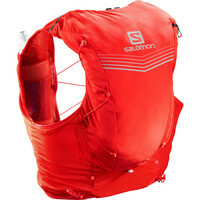 The Salomon women's Advance Skin 8 set has 8L storage and 2 x 500ml soft bottles. 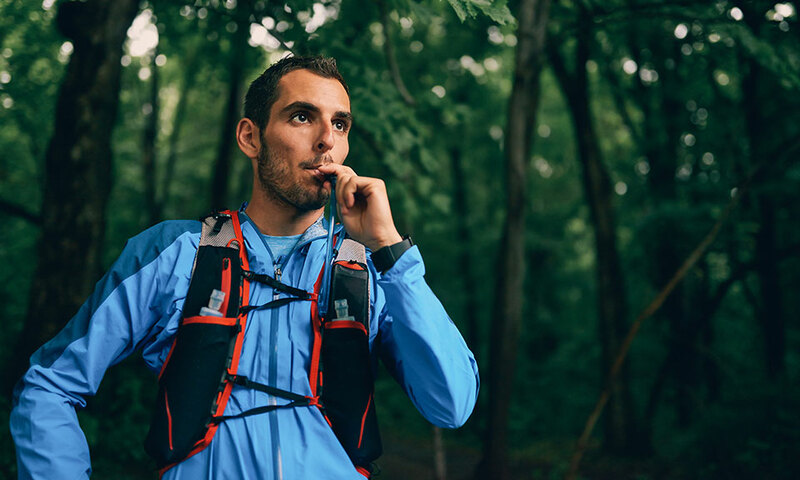 Of course if you don't like any of these options you can always put your gels in your pocket, take some money and buy a bottle of water during your run – the most important thing is to make sure you drink!